In September, The International Wine of the Month Club’s Premier Series offers four exciting wines from four continents. The 2015 Xiloca Calatayud Garnacha from Bodega Sommos begins this worldwide whirlwind tour. 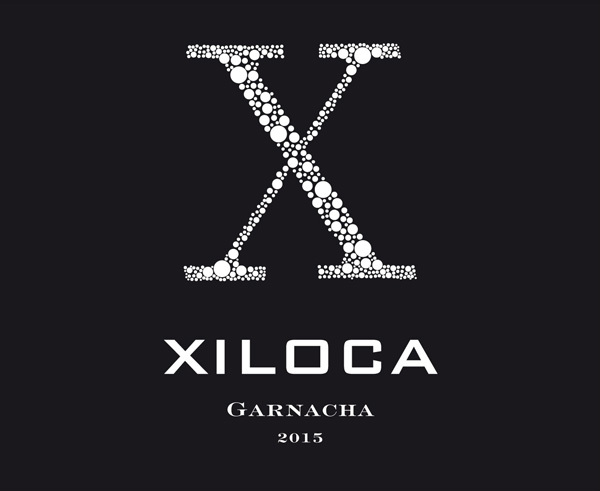 The 2015 Xiloca Garnacha offers a deep draught of ripe black cherry in its aroma, along with subtle hints of plum, earth and minerals for complexity and lift. In the mouth, the 2015 Xiloca Garnacha caresses the palate with plush fruit flavors born of Xiloca’s heirloom 80 year old Garnacha vines. The wine’s pleasant minerality and ripe tannins offer fine counterpoint to its intense fruit, which makes for uncomplicated, unadulterated enjoyment. Although it weighs in at 14.5% alcohol, the Xiloca Garnacha maintains its freshness and never appears weighty. The 2015 Xiloca Garnacha offers a unique look at Garnacha (Grenache) – a medium-bodied wine with bold flavors and plenty of Old World charm. Our next feature is the delicious 2016 Mayu Valle de Elqui Huanta Vineyard Pedro Ximénez. Grown in one of the highest vineyards on earth at an altitude of 6,320 feet, the 2016 Mayu Valle de Elqui Huanta Vineyard Pedro Ximénez offers an appealing array of floral and fruit aromas, flavors vibrant with fresh acidity and zesty minerality, and a long, appealing finish. In the mouth, lively citrus and orchard fruit flavors grace the palate and slake the thirst. Made from a unique Spanish grape variety, the 2016 Mayu Valle de Elqui Pedro Ximénez possesses not only crisp acidity but also laser-like precision to accompany its ripe, forward fruit. Light on its feet yet long on the finish, Mayu has fashioned a distinctive, character-filled wine in the 2016 Mayu Pedro Ximénez from one of the planet’s loftiest vineyards. Next in line this month is the exceptional, bold-flavored 2014 Edgebaston Stellenbosch Cabernet Sauvignon, a classic Cabernet Sauvignon and a stunning value. Edgebaston, renowned for its luxurious, long-lived GS Cabernet Sauvignon, has turned out a remarkably similar wine in the estate’s 2014 Stellenbosch Cabernet Sauvignon, with one exception: this 2014 Stellenbosch offering is approachable now and downright supple in comparison. Deep in color and almost as forbidding in appearance as Edgebaston’s GS, the 2014 Stellenbosch Cabernet Sauvignon emanates from three outstanding clones of Cabernet that yield intense flavors of immense purity. 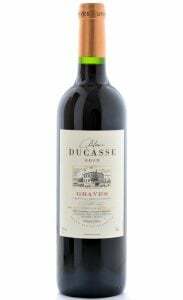 The wine’s savory scents and flavors reminiscent of ripe berries and blackcurrant mingle with mint, herbs, dark chocolate, coffee and a Bordeaux-like herbaceousness, which recall the exceptional Cabernet-based wines of France’s Médoc and winemaker David Finlayson’s successful stint at Château Margaux. Garnering copious accolades and 90 points from Vinous, it is hard to imagine anyone in Napa Valley fashioning a Cabernet this complex and distinctive for under $40.00. Rounding out this month’s Premier Series is Signal Ridge’s Non-Vintage California Brut Sparkling Wine Méthode Traditionnelle, a very tasty, traditional-method sparkling wine that provides outstanding quality, flavor, and value. Soft, succulent, yet fresh and vivacious, this Méthode Traditionnelle Brut from Signal Ridge offers a very satisfying glass of bubbly. For starters, it exhibits a light, pretty bouquet replete with the scents of crisp mountain apples and freshly baked bread. Soft and expansive in the mouth, it glides easily across the tongue before exiting with ease and grace. Unlike most less expensive sparkling wines not made by the Méthode Traditionnelle, Signal Ridge’s Brut finishes with the same charm it started with. It exhibits neither flab nor a harsh after-burn to mar its performance. No need to wait for “an occasion” to open this wine; Signal Ridge’s Brut Méthode Traditonnelle provides its own occasion. The International Wine of the Month Club’s Collectors Series is proud to offer three exceptional wines from two of the most renowned wineries south of the equator. 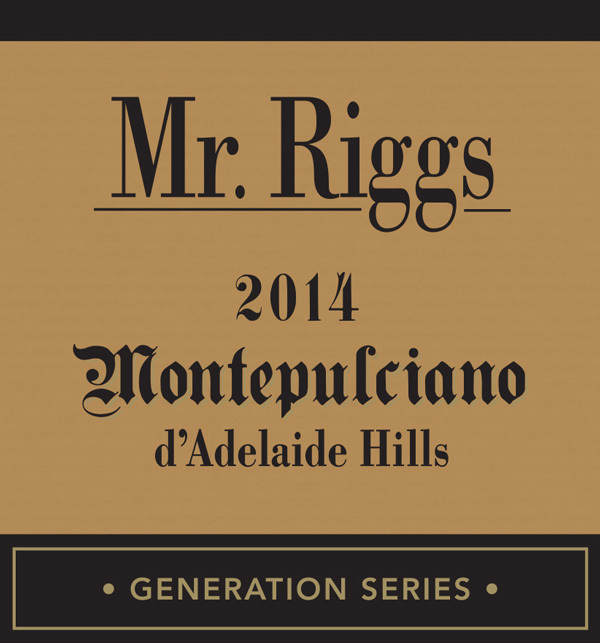 This month an International Wine of the Month exclusive, the 2014 Mr. Riggs Generation Series Montepulciano d’Adelaide from South Australia, leads the way. This rare beauty opens with an eye-popping violet hue and an intense aroma of red fruits, eucalyptus and mint. Smooth, rich and utterly entrancing in the mouth, Mr. Riggs’ Montepulciano d’Adelaide Hills lacks for nothing but a clean glass. Velvety and lithe in the mouth, one wonders how Ben Riggs can pack so much flavor into such a smooth format. The wine’s ripe tannins carry an abundance of berry fruit, mint, milk chocolate and subtle vanilla bean flavors as they glide across the tongue and fill the mouth. Ben Riggs captures the warm, extroverted nature Australia’s top-rated wines and marries them to the suavity and sophistication one finds in the finest Tuscan reds. 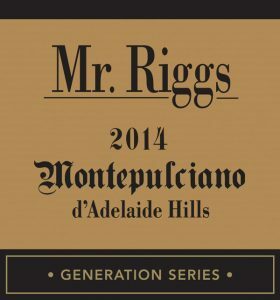 Although one of the smallest of productions from Ben Riggs, the 2014 Montepulciano d’Adelaide Hills has captured the attention of many of the world’s most influential critics and earned 90+ point scores, which include 94 points from The Wine Front, Australia’s most active review site for wine consumers. Enjoy! Next up is the 2014 Casas del Bosque Casablanca Pequeñas Producciones Syrah, a wine that continues to dazzle critics and consumers alike. 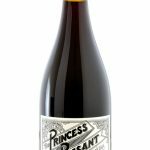 Receiving numerous 90+ point ratings, including 96 points from Decanter and that magazine’s World Wine Awards Platinum Medal: Best Chilean Red Rhône Varietals as well as 93 points from Vinous and James Suckling, it is obvious that California, South Australia and France’s Rhône Valley hold no monopoly on premium Syrah. The 2014 Casas del Bosque Pequeñas Producciones Syrah offers a rich aroma of crushed blackberry, bramble, and violet. In the mouth, ripe blackberry and dark cherry flavors mingle with enticing notes of cinnamon, cedar, bacon, black olive and white pepper. Well-integrated oak tones backed by abundant, round tannins add backbone and superb length and structure to this outstanding Syrah. Although still in the bloom of youth, this purple potion offers incredible drinking pleasure from the moment it is poured. Completing this month’s Collectors Series is the impeccably made 2015 Casas del Bosque Pequeñas Producciones Sauvignon Blanc, another wine that continues to dazzle both critics and consumers. Receiving many 90+ point scores, including 92 points from both Vinous and James Suckling, as well as lofty praise from Decanter and others, this world-class Sauvignon Blanc provides more than a match for France’s top Sancerres – the traditional benchmark for 100% Sauvignon Blanc wines from around the world. From the moment it is poured, this tiny production 2015 Sauvignon Blanc from Casas del Bosque offers broad, delicious, seamless draughts wrought with flavor and finesse. Endowed with supreme aromatics, balance, depth of flavor, texture and vivacity, this Sauvignon Blanc offers it all: a mélange of mineral-tinged herbal fruit, white peach, melon, Meyer lemon and tangerine. 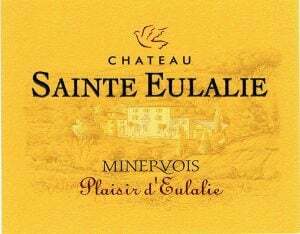 As a finale, it offers an explosive finish, packed with flavor and verve, without the acerbic finish that mars lesser Sauvignon Blancs, even many Sancerres from top-rated producers. Enjoy!